Arkansas school districts are beginning to roll out “In God We Trust” posters in their classrooms this week after a state law passed in August allowed the national motto to be displayed in classrooms. The Piggott School District announced that it would add the posters to school classrooms this week, according to KAIT. The Arkansas state legislature passed a law in August that allowed K-12 schools to display a picture or poster of the national motto “In God We Trust” above an American flag in classrooms and libraries. It also requires the motto to be displayed in some form in public buildings maintained with state funding. 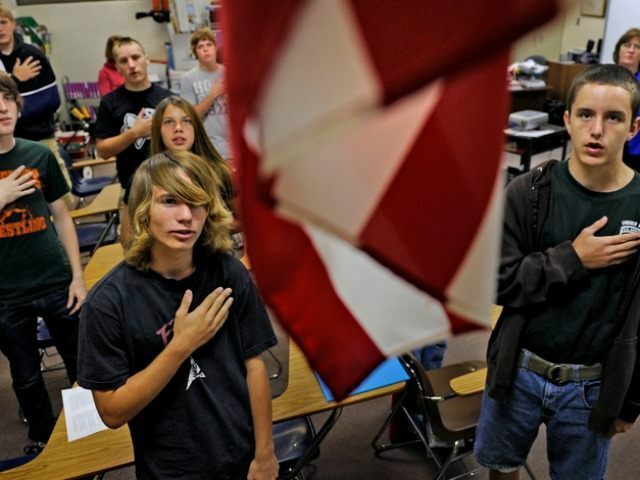 The law states that posters allowed in the classroom can also feature the U.S. and Arkansas flags, adding that the funding for these posters must come from private organizations or charitable contributions to local school boards. Superintendent Barry DeHart said that churches in the area backed the effort to place these posters inside classrooms. Dehart said that eight local churches donated $300 towards the purchase of the posters. The district expects to have framed poster with the motto on the wall in all 90 of its classrooms.